I have used many payroll services and software. ADP Vantage is definitely the most advanced and intuitive product that I have used. We have a decentralized payroll, and it works great however I understand most clients do all the payroll at one location, so it suits either way. I not only recommend it for the exceptional product but also for the customer service that ADP provides. Salesforce is amazing for many scenarios, pretty hard to find one that doesn't fit. It's great if you are an executive who needs to know everything about an account prior to a meeting, but doesn't want to have to look in a million different places. If you are a sales rep, and you need to know how many opportunities you've created or what's in your pipeline, your dashboard has it. Say you are a customer success manager, and you need to find out when or why a certain customer churned, theoretically it's all there in the opportunity. You should have their entire history, products suites, surveys and any supporting notes and documents.The only scenario I don't think SFDC excels in would be utilizing it as a ticketing system. There are just too many systems specifically geared to that industry that have it more built out and user-friendly. Workflow for transfers, promotions, pay raises, etc. The new user interface is friendly and easy to use. The Succession Management module is one of the best I've seen. It is easy to navigate the talent assessment and easy to use to facilitate calibration sessions. 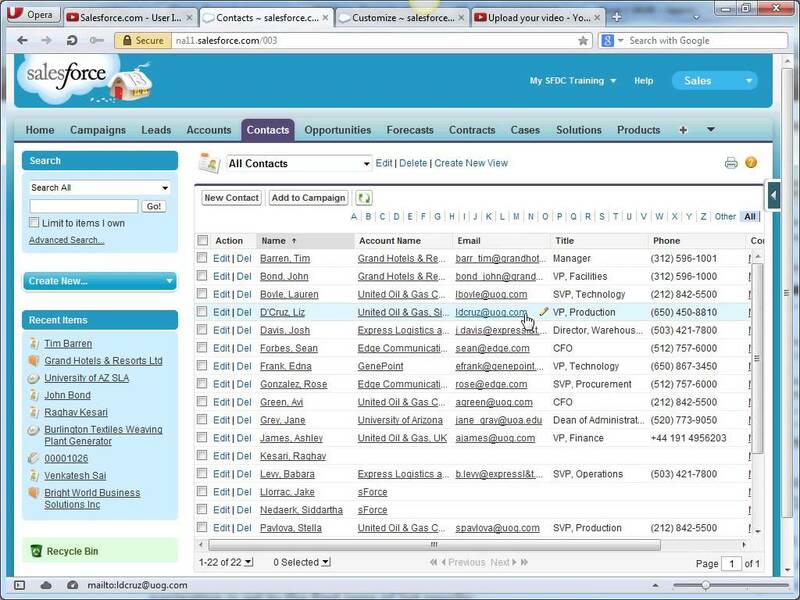 Salesforce is great at day to day organization through schedules tasks and events. It helps with efficiency as you have your required tasks laid out for you as soon as you log in. Customization in Salesforce is both a blessing and a curse. If you understand how to utilize custom fields to better organize your list views and reporting it is invaluable. The workflow feature of the product is not quite as robust as one would like. The security setup for the product does not retain history that the client can report on, which makes auditing a bit of a challenge. The policy manager does not allow for true electronic signatures and does not meet legal requirements for compliance purposes. I do not have specific experience in trying to make customizations to the back end of Salesforce like I do with Microsoft Dynamics- however it appears that the process of making those customizations is far more complex than I wish it were. I would prefer a system that can be customized (with proper approvals and processes) by key stakeholders. The saved queries/ reporting functions in the system are actually excellent, but as a user I find that data validation rules are often passed over through integrated field / API calls- which seem to incapacitate the validations and "dirty" the data in the system. As a huge advocate of CLEAN data to support quality metrics, this frustrates me. It's likely an issue in systems, however because of my involvement in Dynamics systems I had a hands on role in preventing it in that system. I do encounter a large amount of "dirty" data in SFDC. I cannot speak to the same experience in all other SFDC platforms, but I have had challenges with creating quality/accurate dashes without doing a "manual" cleaning process on a regular basis in this particular instance. I have less experience in this particular CRM with actual day to day record handling so I cannot speak to the average inside or outside sales users' experience in this platform as compared to other platforms. My opinion is usually that a quality design and business rules can optimize key strokes, efficiency, and data quality. There are definitely some challenges we face in this system today which are clearly the result of user interface design improvement opportunities or possibly a need to implement workflows or scripts to "fix" those areas. I believe this to be true of most CRM platforms though. I have no renewal decision power, but it seems that the system does what it is meant to do for the 750 employees that it supports. Cloud based and future looking - Salesforce has either set or kept pace with the latest in technology. At least two major feature releases a year allow an organization to keep up with the latest changes. Mobile and the release of their new analytics platform are just two examples of how Salesforce continues to innovate. Salesforce is like a bucket of legos. Everyone gets the same bucket, but can build anything you want out of it. I've worked on Salesforce instances for: construction, non-profits, job training, music industries, medical insurance, medical billing, paid parking, and international medical diagnostic companies. The system tends to act up/glitch on payroll processing days. Overall it works very well, except the occasional glitching which causes delays in processing. Salesforce performance in general is excellent. "The cloud infrastructure beneath Force.com has been fine-tuned over the past 10 years. It powers nearly 100,000+ businesses running more than 185,000 applications that 3 million users count on every day." 1) Multitenant kernel - With a multitenant platform, each business that uses the app doesn’t have its own copy. Instead, all businesses share a single copy and then customize it for their specific needs. 2) ISO 27001 certified security - You can’t compromise when it comes to enterprise-level security. Force.com is road-tested and trusted by nearly 100,000+ companies, including many of the world’s most security-conscious organizations, such as banks and health care providers. 3) Proven reliability - All Force.com apps run on world-class data centers with backup, failover, and disaster-recovery facilities. Force.com has had a proven 99.9 percent uptime record for years. 4) Proven, real-time scalability - Force.com is used by many of the world's largest enterprises, including Cisco, Japan Post Network, and Symantec. Applications can automatically scale from a few users to millions of page views, as needed. 5) Real-time query optimizer - You need fast access to your data. The Force.com query optimizer delivers under 300ms response time, at a massive scale. 6) Real-time transparent system status - You can always see real-time system performance, availability, and security information at trust.salesforce.com. 7) Real-time upgrades - Unlike traditional software platforms, our upgrades never break your customizations, code, or integrations. We upgrade the platform for you 3 to 4 times each year. As a result, you’re always on the latest version, with access to the latest features, performance, and security enhancements. 8) Real-time sandbox environments - With a single click, you can create copies of your applications, configuration, and data in separate environments for development, testing, and training. I understand you can pay more to get support but as I stated, I feel strongly that if you are paying for SAAS technology like Salesforce you should be afforded the courtesy of the company explaining how to use it's features. I like to refer to the basic license as the "Figure It Out Yourself" license. A lot of set ups vary from company to company so parts of our training we found it difficult to relate it to our processes. They have TONS of training modules available and a streamlined process for what you should complete and when. Would have been helpful to have onsite training for how much one pays for the system. The premier level of training is capable of preparing any individual from infant user, to technical architect. That is not hyperbole. Executive involvement is critical. Make sure you have a good handle on the metrics you would like to ultimately manage. Work as a team to document your business requirements. Whiteboard often. Understand Salesforce's best practice capabilities. Our organization chose ADP Vantage HCM in order to eliminate the on premises solution of PeopleSoft as well as to outsource payroll processing. The cloud based, fully integrated solutions that the Vantage product line offers allows us to have a true "one-stop shop" for all our HR systems. 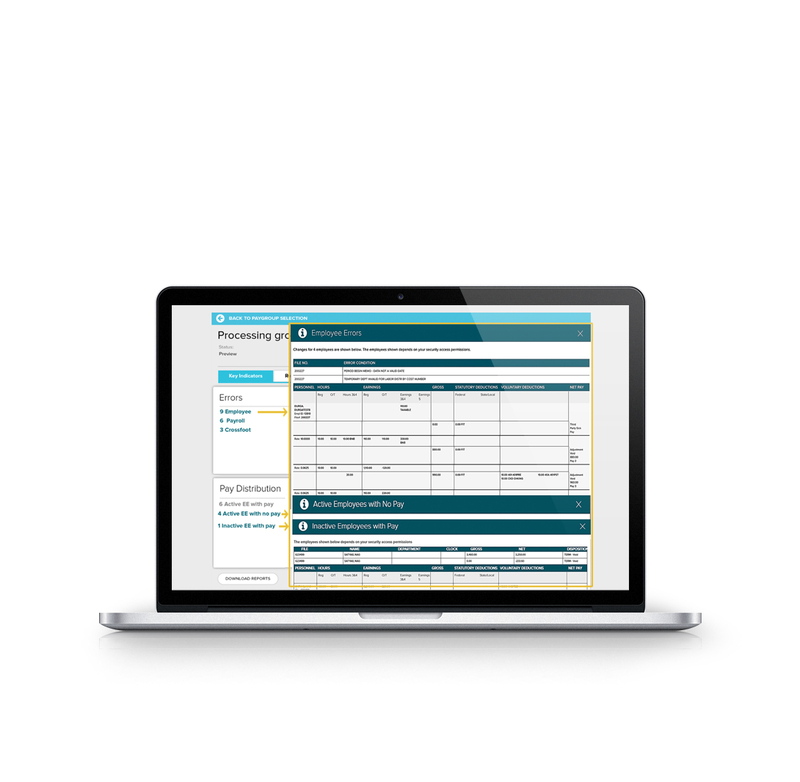 Sage CRM - Sage was originally created from an Accounting perspective. Development takes longer and the customizability was limited. Integration to other communication systems was too burdensome to users.Act - Single sales tool - great if only one person is using, but any need to sync caused nothing but problems. Sharing of data was too difficult. Ability to adapt to large amounts of data. Salesforce has the unique ability to scale to new products and offerings quickly growing with your enterprise. This product has little impact in the Client Support Department. Salesforce has allowed us to have a clear view of our pipeline and where we sit as an organization vs. targets. Salesforce CRM - More than just a contacts database, Salesforce CRM is your centralized repository of customer information in the cloud. The 2019 Buyer’s Guide to HR Management Software. 68% of HR professionals say that it’s hard to find the right HR Management solution. That’s where this guide comes in.